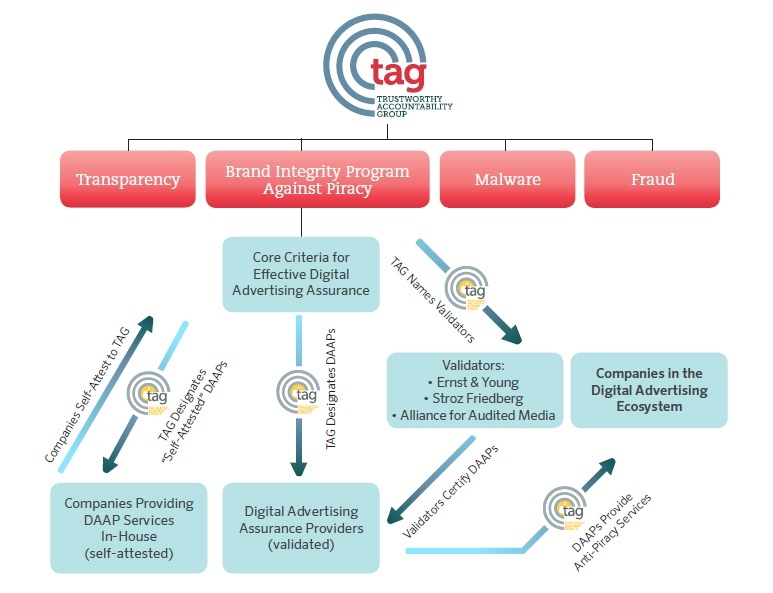 The 614 Group sought to measure the impact of the TAG Certified Against Fraud Program in lowering fraud across the digital advertising supply chain. The study found that TAG Certified channels have a measured IVT rate of 1.48% across video and display inventory – an 83% reduction in IVT as compared to the general industry fraud rates. Lead the Charge: Designate a trained Brand Safety Officer to protect your brand from ad fraud and other criminal activity. Communicate Your Commitment: Work with your agencies to establish a clear and consistent policy to measure fraud effectively. Know Your Partners: Choose to work with TAG Certified Against Fraud partners. Be Vigilant: Refuse to pay for fraud.